The term “dry needling” was coined in order to distinguish it from “injection needling”, where a hypodermic syringe is used for injecting substance into tissue. Sometimes referred to as Western, or clinical acupuncture, dry needling was developed by Dr. Chan Gunn and is used for the treatment of myofascial dysfunction or muscular pain. The technique is based on neurophysiological and Western anatomical principles, and is quite efficient for relaxing overactive muscles. 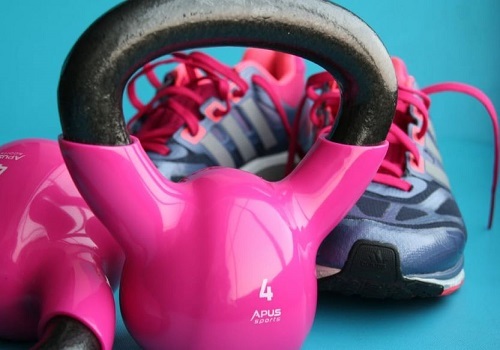 The procedure is intended to target and restore muscle functions, not to replace surgery, physiotherapy, or other types of medical procedures. However, in combination with conventional treatment methods, dry needling can help accelerate the restoration of normal tissue function, healing and pain reduction. Even though its exact mechanisms are not fully known, there is an increase in evidence that supports the positive effect that inserting a hypodermic needle has on the chemical and electrical communications going on in our nervous system. Dry needling is being strongly supported in mainstream Western medicine today. 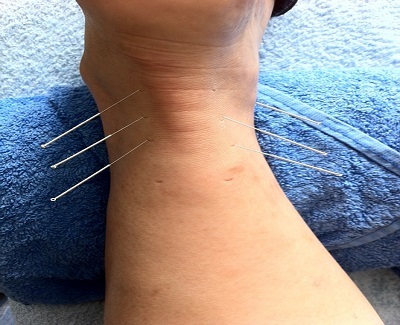 The technique of dry needling involves a very thin needle being pushed into the tissue, through the skin, to stimulate a trigger point. Trigger points or muscle knots can cause pain over a large area, and this form of therapy is used for releasing these tight muscle bands. When there is pain every time an area is touched, these trigger points can make performing everyday tasks difficult. Unlike wet needling, which involves the injection of substances such as sclerosants, anesthetics, corticosteroids and other agents, dry needling doesn’t include any kind of substance. The needle is inserted into muscles, tendons, ligaments, scar tissue and subcutaneous fascia. The process also differs from acupuncture, in which needles are used to help create a balance within the bodily system by unblocking energy meridians. Dry needling focuses on stimulating a particular trigger point which is the cause of disability and pain. How Does It Fit into My Everyday Routine? When it comes to treating muscle pattern imbalances, muscle spasms and acute injuries, dry needling is the modality of choice. In order to break the pain cycle, initiating dry needling is common at the very beginning of a treatment program. Other treatment methods are introduced once that is achieved. Dry needling doesn’t necessarily address the source of pain, even though it can be useful in relieving it. For example, someone may have associated secondary muscular pain of the hip caused by advanced osteoarthritis, because the muscles compensate in order to avoid movement related to the pain. The pain can be relieved with dry needling, but the osteoarthritis alterations in the hip (the source of pain) will not be reversed by it. People that engage in regular fitness activities and “damage” their muscles on a frequent basis can find dry needling a great way for muscle recovery. Those who don’t have time to pay a dry needling professional a visit, companies like Physits can visit you at your home, work, or any other location to provide a dry needling session. Many people find that dry needling can lead to improved sleep cycles, better appetite and increased energy levels. The needles used are very fine and thin (.16-.30mm), rarely causing bruising or bleeding at the insertion place. The treatment is very safe and only individually packaged, sterile needles are used. Side effects can occur, but are very rare. The most common post-treatment effect is the feeling of soreness in the referral zone, which can last from a few hours up to 2 days. Another side-effect that may occur is pneumothorax – the piercing of the lung with a needle, which leads to a full or partial collapse. This happens due to poor practitioner technique, when a needle is inserted too deeply or into the Trapezius muscle in a certain way. A dry needling practitioner must have a deep understanding of the dry needling technique and a deep understanding of the relevant anatomy, in order for the practice to be safe. Dry needling is a treatment technique, common in orthopedic manual physical therapy. For patients who are not afraid of needles, it is an effective and safe treatment option. Those who undergo dry needling will see benefits in joint use, range of motion, pain reduction, and speeding up the recovery process. In order to completely eliminate the trigger point, several sessions are sometimes necessary.